New Practical Chinese Reader is the most popular textbook used to teach Chinese in universities all over the United States. 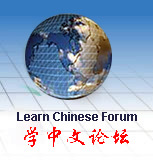 Designed for native English speakers to learn Chinese. The series consists of seventy lessons in six volumes. The first four volumes, consisting of fifty lessons, are for beginners and pre-intermediate level learners. The last two contain twenty lessons for learners at an intermediate level. All the books list below are mandarin Chinese with simplified character.